Katie Price is baffled when a man claiming to be her grandfather leaves her his entire estate in the Scottish Highlands. The bulk of the estate consists of a thriving whisky distillery and a moldering castle, where the eccentric old man actually lived until his death. The will stipulates that Katie must travel to Scotland and claim her inheritance in person. 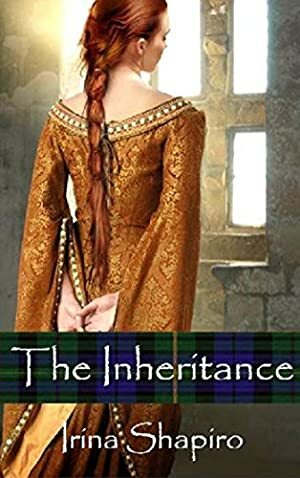 As Katie's stay extends from weeks into months, she uncovers the secret that led to her mother's birth, and begins to unravel the two-hundred-fifty-year-old mystery surrounding the beautiful young wife of the last laird of Clan McBride. According to local lore, Isobel McBride vanished from the castle without a trace shortly after the Battle of Culloden, and some believe her ghost still walks the battlements at night. A strange dream in Isobel's tower room leads Katie to Isobel's hiding place, where she discovers love letters from a man other than Isobel's husband, his initials the only clue to his identity. As Katie begins to unearth the clues to Isobel's fate, she embarks on a romantic journey of her own and finds a new life she never expected. Author's note: Due to several complaints, the book has been extensively re-edited as of July 20,2013. Log In to track Irina Shapiro on eReaderIQ. to be notified each time the price drops on any book by Irina Shapiro. to stop tracking Irina Shapiro. We started tracking this book on October 8, 2011. The price of this book has changed 42 times in the past 2,753 days. The current price of this book is $2.99 last checked one day ago. The lowest price to date was FREE last reached on March 29, 2019. This book has been FREE 11 times since we started tracking it. The highest price to date was $3.99 last reached on July 12, 2012. This book has been $3.99 3 times since we started tracking it. We last verified the price of this book about one day ago. At that time, the price was $2.99. This price is subject to change. The price displayed on the Amazon.com website at the time of purchase is the price you will pay for this book. Please confirm the price before making any purchases.